"All organizations, whether commercial or charitable, will need to know the valuable information in this book." "A timely, thoughtful guide to the urgent importance of social media to nonprofits from leading practitioners around the world. Full of case studies and practical advice, it will help you translate Web 2.0 into Fundraising 2.0 and beyond." "This book shatters the notion that Internet fundraising and traditional donor development are not compatible. People to People Fundraising is the future of fundraising." Giving donors the chance to participate in and contribute to the success of a charity beyond the online gift is proving to be successful for many nonprofits. 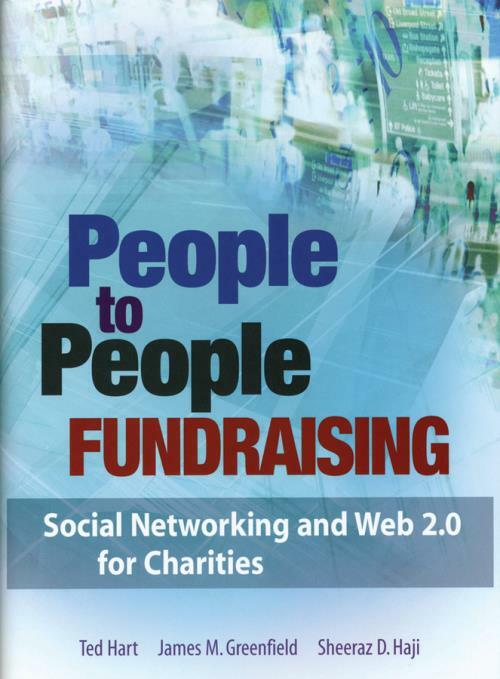 Find out how to make the most of your online fundraisingefforts with the expert advice found in People to People Fundraising: Social Networking and Web 2.0 for Charities. Based on the authors′ decades of combined real–life experiences plus scores of international case studies demonstrating ePhilanthropy success stories from around the world, People to People Fundraising provides a wealth of proven, practical techniques to help you boost your organization′s success. Foreward by (Dr. James Austin). Chapter 1. The Changing Nature of Community: Leveraging the Internet to Build Relationships and Expand the Reach of Your Organization By (Steve MacLaughlin ePMT). Community–Building is Central to Philanthropy. The Internet Continues to Transform the Nonprofit World. The Next Major Evolution in ePhilanthropy. What the Internet Means to Nonprofits. Chapter 2. Strategic Donor Relationship Moves Management and the Internet. The Changing Landscape of Online Advocacy. Handing Over the Reins to Your Constituents: The Role of User–Contributed Content and Social Networking in Online Advocacy. Unforeseen Hurdles and Challenges in Online Advocacy. Integrating Online Advocacy into Communications Plans. The Ever Growing Online Toolkit. Chapter 4. Peer–to–Peer Fundraising and Community Building By (Phil King Artez Interactive, Nicci Noble The Salvation Army). Creating Communities of Fundraisers, Not Donors. Getting Your Supporters To Do More Than Give.Leave Your Office To Find Your Supporters (aka You Won′t Be Their Homepage ). The Power of Incentives in Building Communities. The Power of Celebrity in Building Communities. The 45 Percent Effect of Online Communities. Creating Communities of Interest: Case Study of The Salvation Army Online Red Kettle. How Do You Look on YouTube? Conclusion: What Gets Us Excited PK Write here too. Chapter 5. Crafting the Marketing Strategy to Make it Happen By (Katya Andresen Network for Good, Bill Strathmann Network for Good). Putting Personal Fundraising on the Couch. Putting Personal Fundraising to Work for You. Chapter 6. Online Tools to Manage Special Events, A–thons and Auctions By (Jon Carson cMarket). The Old Way of Managing Events. The Old Way of Hosting Events. The Role of the Internet in Events Management. Online Products that Host and Manage Events. Chapter 7. Relationships Take Two: Donor–Centered Stewardship By (Jon Thorsen Kintera, David Lawson Kintera). Show Me (More Than) The Money. The Medium and The Message. Chapter 8. How Individual Supporters Use Online Fundraising Pages to Make a Difference By (Mark Sutton Firstgiving, Inc.). What is an online fundraising page? Leverage An Individual Supporter′s Social Network. It′s All About The ′Ask′. Tapping into the Broader Community. BLOGS An Important Development In Fundraising. Fundraising Catalysts (Ways/Reasons to Use Online Fundraising Pages). Online Fundraising Best Practices Summary. Chapter 9. Social Networks Meet Social Change: From MySpace to Second Life By (Sarah DiJulio M + R Strategic Services, Marc Ruben M + R Strategic Services). A Sampling of Social Networks. Chapter 10. Senior Surfer eGifts By (Charles Schultz Crescendo Interactive, Inc.). Senior Surfers Catch the Internet Wave. What do Senior Surfers Expect? Major eGifts Through Professional Advisors. Why ePhilanthropy Succeeds Seven Pillars of eSuccess. By (Vinay Bhagat Convio, Inc).. The eCRM Framework: A Strategy For Building Relationships Online. New Forms of Peer–to–Peer Fundraising. Chapter 12. Integration of Email, Interactive Web–Based Survey Tools, Online Research, Data Analysis and Direct Marketing By (Mark Connors Amergent). Becoming Donor–Centric Understanding Your Supporters and Their View of Your Organization. So, Does Your Organization Have a Plan? Make the Most of the Data You Already Have. Collect the Right Type and Amount of Data in the Online World. Look at Your Existing Data Through a Different Lens. Multi–Channel Marketing Opportunities and Challenges. Using Mail to Drive Online Activity. Using e–Mail and Online tools to Bolster Direct Mail Results. Using Print and General Advertising to Increase both Offline and Online Response. Using Online Tools to Spur Interest in and Supplement Offline Activity. An Example of Online/Offline Integration in a Campaign Execution. Chapter 13. How the Telephone and The Internet are Beautiful Partners for People–to–People Fundraising By (Mike Johnston Hewitt and Johnston Consultants). The Hormonal Advantage Of The Telephone Over The Internet In Fundraising. Integrating the Phone with Online Pledge Events. Using the Phone to Acquire or Renew Memberships from Web Based Lists. Using the Phone to Motivate Online Activists to Become Donors. Using the Telephone to Motivate Single Gift Web Donors to Become Monthly Donors. Expert Tips for Using the Phone and Online Tools Together. Chapter 14. The Web of Integration: Fully Integrated Fundraising Campaigns By (Ryann Miller Hewitt and Johnston Consultants, Patricia MacArthur Hewitt and Johnston Consultants). How to Avoid Errors and Plan Thoughtfully. Buttons and Banners on Company Websites. Integration as an Organizational Philosophy. Chapter 15. Your Organization in the Donor′s Pocket By (Marcelo Iñarra Iraegui International Consultant). What happened with the third–sector social organizations worldwide? One More Wish To Ask The Genie.